Silver eagle coins are a popular investment option for those who are looking to diversify their portfolio with precious metals. Officially known as the American Silver Eagle, the coin was first released by the United States Mint in 1986 and was available in two versions: bullion (the first official silver bullion coin of the United States) and a proof edition for collectors. The bullion version is one troy ounce with a silver composition of 99.9%. Both versions feature the iconic “Walking Liberty” design by A.A. Weinman on front and a shielded eagle on the reverse. Investing in silver coins could be a good fit for your financial and retirement planning strategy. But like any investment, you need to understand your options before moving forward. Far too often, inexperienced investors make hasty or altogether bad decisions that prevent them from maximizing their portfolios. Use the list of Do’s and Don’ts below to make sure you take the right steps to purchasing your own American silver eagle coins (Wikipedia). DO take the time to understand Proof vs. Bullion. 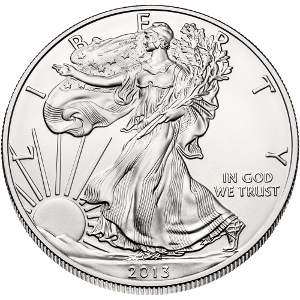 The proof and bullion versions of silver eagle coins are quite different from each other, but both can have their own unique benefits. As an investor, it’s your responsibility to understand which option fits your needs and goals best, or talk to a precious metals specialist who can educate you on the advantages of both. Purchasing precious metals shouldn’t be a guessing game. Make sure you have a clear, focused strategy for the assets you plan to obtain and how they could impact your financial growth. DO consider planning for retirement. Both versions of the American silver eagle (proof and bullion) can be placed into a precious metals IRA. Depending on your situation, a precious metals IRA could be a smart strategy for your retirement planning as it can help shield your portfolio from stock market volatility and the declining dollar. DON’T leave your silver coins unprotected. If you choose silver eagle coins for physical possession, make sure you keep them stored in a safe place. Rather than placing them in a desk drawer, consider putting them in a safe, a safety deposit box with your bank, or an insured, non-segregated depository. DO find a qualified precious metals specialist. An experienced precious metals advisor can help you choose the right silver coins for your portfolio, provide valuable advice, answer your questions and walk you through the entire process of your purchase so there is no confusion or hassle. When it comes to making any kind of investment, this expertise is invaluable. DON’T make an investment you’re unsure about. If you’re dealing with a pushy salesperson who is pressuring you into an investment you’re not confident about, then it’s time to take a step back and find another dealer. Get more information on the American Silver Eagle by contacting the precious metals specialists at Birch Gold Group. With an A+ rating from the Better Business Bureau, Birch Gold is known for its wide selection of precious metal investment options, knowledgeable advisors, integrity and outstanding customer service. Call us today at (800)355-2116 to learn more or simply fill out the form on this page to request more information.